Epic Games appears to have issued a Copyright Strike on one of its own YouTube videos. 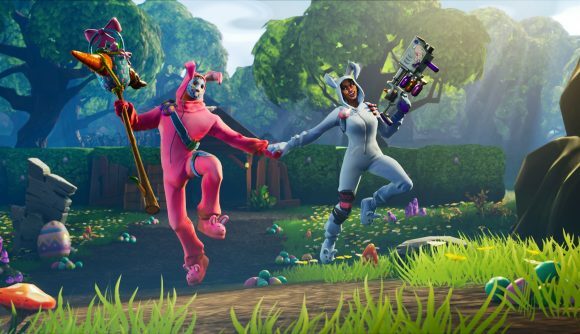 Fortnite’s Reddit community has noticed that attempts to view the game’s latest Battle Pass – which offers various cosmetics and in-game currency – on YouTube are being blocked by an unlikely source. That Reddit post shows a screenshot suggesting that Epic’s video – ‘Fortnite Season 6 Battle Pass’ – “is no longer available due to a copyright claim by Epic Games, Inc.” That would suggest that somewhere down the line, Epic filed a legal request to YouTube asking the platform to take down their own video. The likelihood, I would assume, is that Epic will manage to get their video reinstated – copyright strikes can be appealed, after all. For now, however, if you want to check out those top tier rewards, you’ll have to find an alternative source. May I recommend, then, our own Battle Pass rundown? It features the dulcet tones of our very own Harry, and it’s still actually available to view – you can check it out in the video above.